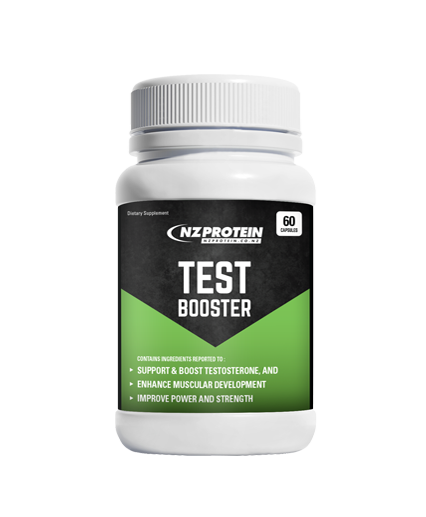 NZProtein's Test Booster contains an advanced blend of natural ingredients reported to support and boost testosterone levels and libido, optimising performance via improved hormone production. Optimal hormone production supports faster recovery, increased strength, and muscle development for bodybuilders, strength and power athletes. Testosterone levels decline after our twenties and may decline at varying rates depending on factors including genetics, diet, stress, activity and so on. 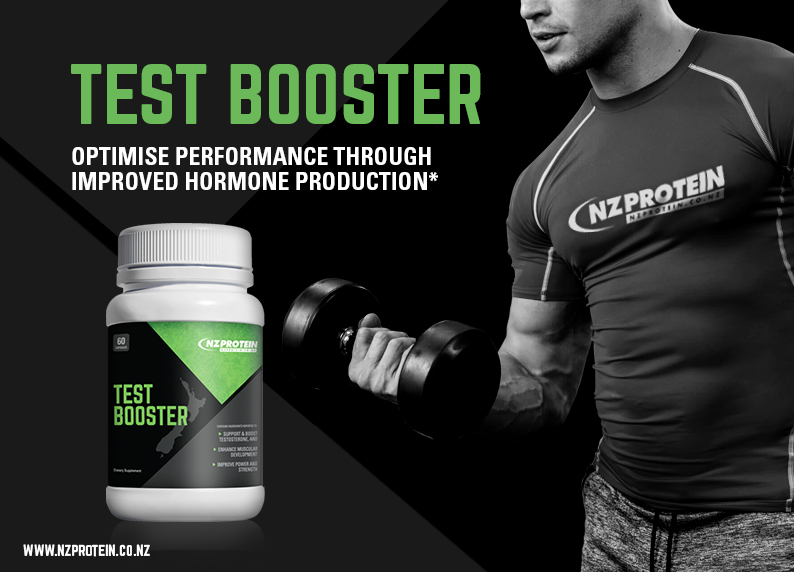 Supplementation with a test booster product may help to maximise power and performance and achieve greater results. Take 1 capsule daily with food in the morning for best results. Initially the full benefit may not be experienced until after a few days.